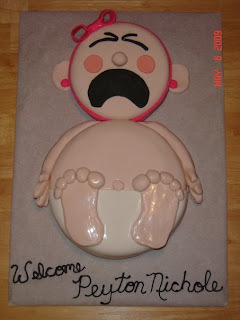 This is a cake I like to make for baby showers. Each circle is one layer of cake. As you can see, it can be made into a boy or a girl. 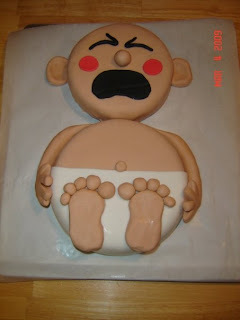 I am more than willing to add any variations of your choice including fondant color or add-ons.